Anyone know why Havard Rugland didn't get much playing time in the gave vs. the Patriots? I know the starter get a lot of time in the 3rd preseason game, but Akers was still kicking field goals into the 3rd quarter, and Martin was still the KOS in the 3rd. Is this kind of a sign that Rugland has no shot at making this team? Akers is healthy, so there was never really any chance for Rugland to make the squad. He might get some looks around the league, but most likely won't make a squad until next season. He's too inexperienced. He should find his way onto a team before the seasons over. There are always a few teams having kicker trouble by mid season and would be willing to take a flier out on him. I hope I'm wrong because it would be nice to have a young guy with talent like him available since Akers is a bit old. I think Green Bay is waiting for Rugland to get cut. Neither one of the kickers they have in camp is lighting the world on fire, and if they have a shot to snag someone that can kick it deep, and hit the long FGs, he's no greater risk than keeping Mason Crosby or the rookie they have now. NFL teams view the 3rd preseason game more seriously than the other preseason games so its really a time to test the starters and guys with a chance at contributing on your team rather than projects. Akers is kicking well and is much more consistent striking the ball than Rugland so it is fair to say that outside of injury he has no shot at making the team. 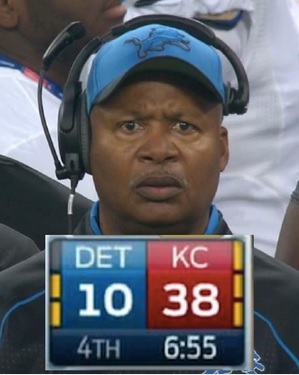 Even in case of injury, I would think the Lions would find a better option from outside the organization. Martin's kickoffs have been consistently strong and is getting them 5 yards deep in the corner of the end zone while Rugland s werent consistently making it to the goalline. Rugland is a project, I doubt he ll be on an NFL team at a serious portion of the season - early to mid season for all teams or late in the year for contenders. If a team is easily out of contention than he may get a shot somewhere. He s an exciting story and has done well this year. Look for him to get more chances in the final preseason game and then stick around and try to land some workouts with other teams this year while continuing to work with former NFL kickers to refine his skill. As a raw talent who just started kicking he s very impressive but he isnt ready to be an NFL kicker yet. Akers is ok now, but in two or three years we'll be looking for a new kicker. I was hoping the Leos would keep Rugland. This is one of those situations where I would like to see the team take a chance. I know it would be a huge risk, but as it stands right now the Lions will be looking for a new kicker in a year or two anyways. I honestly haven't been able to catch up on the preseason games to judge performance, but I had misgivings when they signed Ackers. He has been unreliable the past few seasons, and frankly their is a reason the 49er's let him go. I would be all for bringing in a young player that showed promise. Grink. Akers had a bad year last year. The Season before he was arguably the best Kicker in the NFL. That said, I would be fine with going with Havard as I do believe he needs experience, but I dont expect this team to do poop this year anyways. Hanson was awesome as always last season and we went 4-12. Take the Young guy. They wont. Akers is the Kicker Obviously. Thanks DJB, you are correct, Ackers did have a solid 2011. I should check my stats before spouting off. Maybe it will be a one year blip and he will go back to old form, but I just envision last season getting stuck in his head. He was also injured last year. He's generally been healthy, and has been a good/great kicker. If he stays healthy, he'll be solid. As far as Kickalicious, he has passed every test he has been given so far. 1: Can he kick outside in gusty winds? 2: Can he do question 1 in Laimbaugh in late December? The guy is from Norway. I bet he knows more about what cold gusty winds can do than most young kickers. Probably. But, have you seen him kick outside with gusty winds and below zero temps? I haven't. Probably no-one has.